Founded over 27 years ago, Celtic & Co has produced some of the finest hand-made genuine shearling boots in the UK. 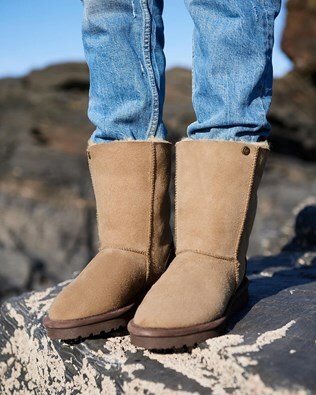 Producing high-quality and iconic shearling boots and slippers for men, women and children, Celtic & Co strive for perfection from their workshop in Cornwall. From classic shearling boots available in a number of colours, to cute Nomad and Aviator boots for women, to popper knee high boots to keep your feet as cosy and warm as possible. 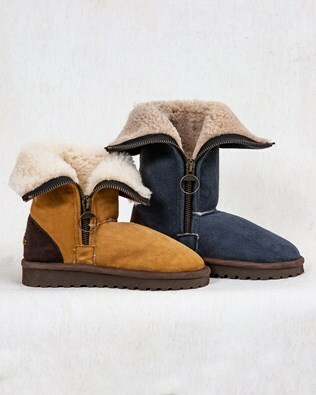 Shop our online collection of real shearling boots and slippers for men and women and enjoy the quality of genuine hand crafted shearling from the UK. Traditional hand-made shearling boots are a rare find these days but every single pair of our boots and slippers have been hand-crafted to last. 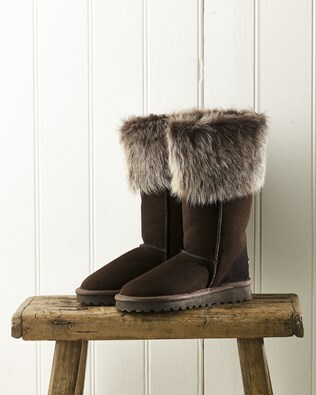 A pair of our genuine Celtic & Co shearling boots should be treasured and last you a lifetime. If your boots suffer from signs of wear, we offer our customers a repair service to restore your favourite boots back to their original state. Find a pair of Celt House Boots for lazy weekends at home or weekend breaks away and feel completely relaxed, comfortable and cosy at all times. Ideal for travel, our original calf height Celt boots come in a variety of colours and have been expertly designed to withstand the elements. Finished with durable and double stitched contract leather heel protectors, they are hard wearing yet lightweight. Our adorable children’s collection of shearling boots features personalised and classic Celt boots, kid’s Toscana boots with a cuff of plush Toscana shearling and children’s shearling insoles to keep those little toes nice and cosy. Perfect as gifts, we a free return on any UK order policy, browse through our online kid’s collection and find something beautiful for your little ones.